Not often does one exit the warm front with a tornado watch box in process during the late morning. I guess the atmosphere was loaded with ample moisture and heating was in progress – all it took was an upper level trough to release this energy. The wind shear was powerful with south to southeast winds already fresh to strong. Having started out the day near Grand Island, the target was far southeast Nebraska. Finally on a descent road, we paralleled this tornado. It had rapidly developed into a stove pipe but contrast was not good here. We made a crucial move east to remain in contact but ahead of the tornado. 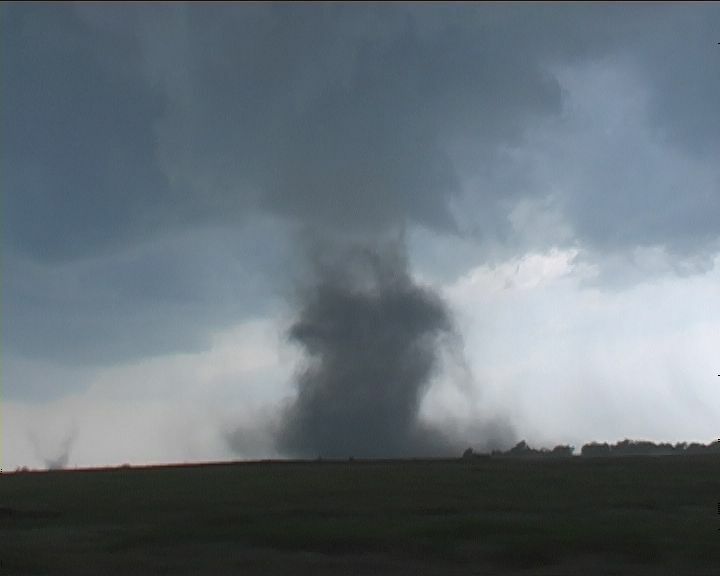 Another tornado in the meanwhile had developed to our southwest providing an opportunity to film from either side of the vehicle and who knows what else was happening as yet another brief tornadic spinup occurred. But this was the main beast! 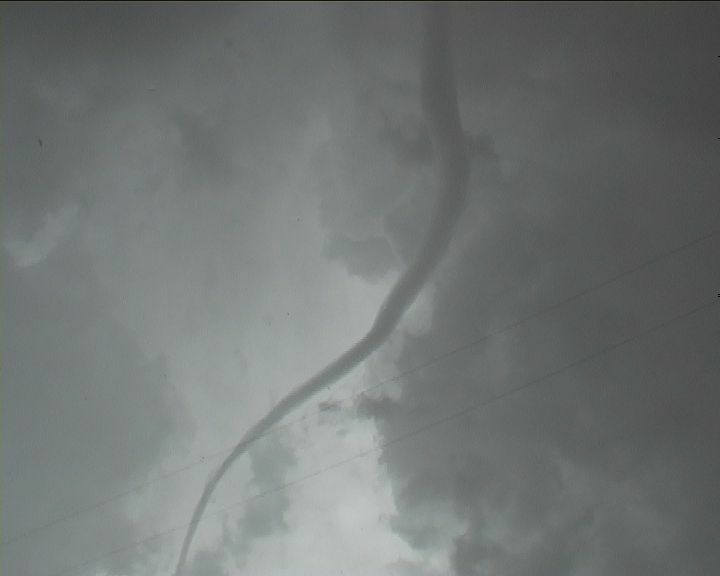 With rapid rotation, it was churning the countryside – condensation funnel all the way to the ground. 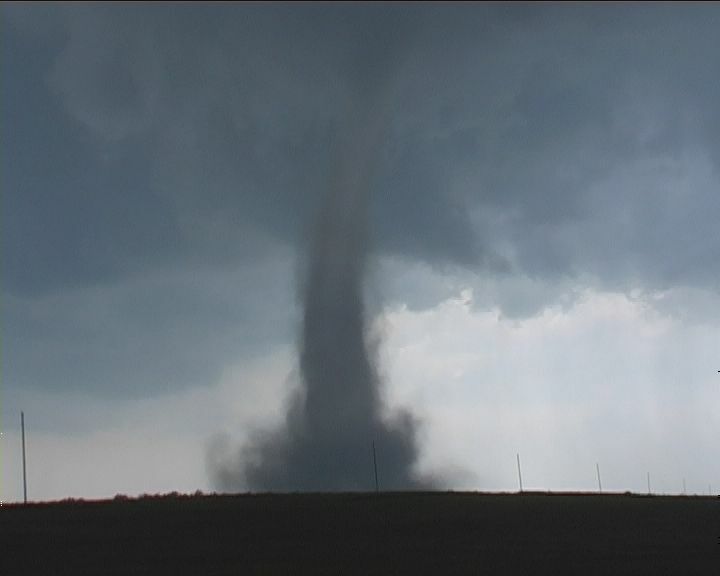 It was a large tornado at first gradually evolving into a narrow, strongly-rotating elephant trunk – similar in character to the Pampa tornado in 1995. 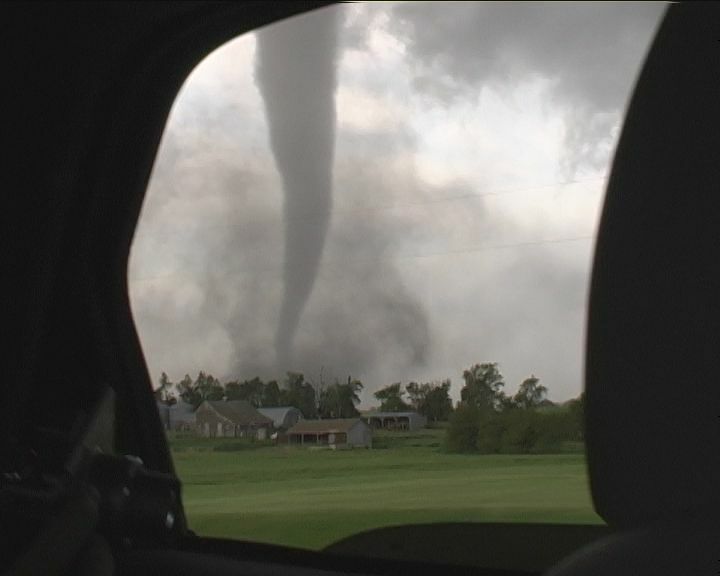 The tornado seemed to slow down allowing another opportunity to stop and film. 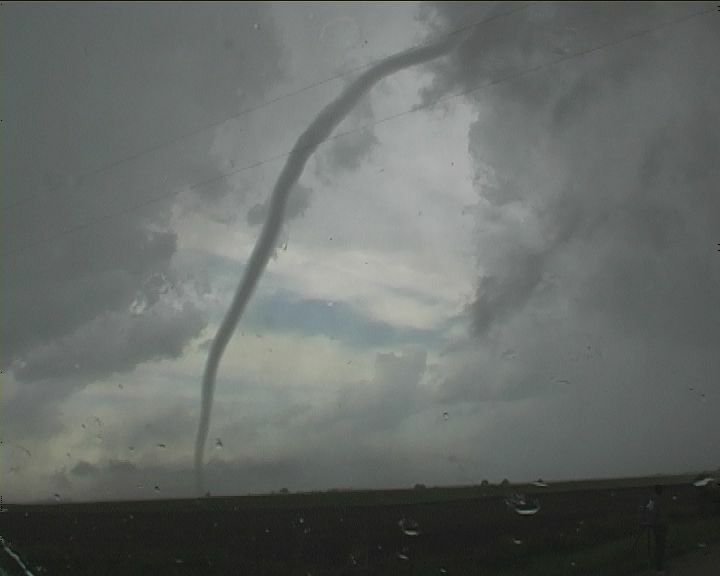 The tornado entered the rope stage at this point – narrowing and the condensation funnel thinning out. 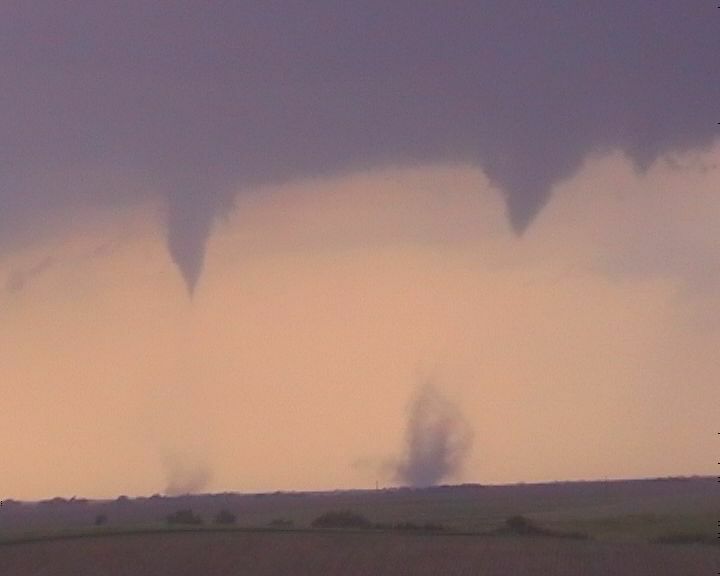 Tornado over. What? 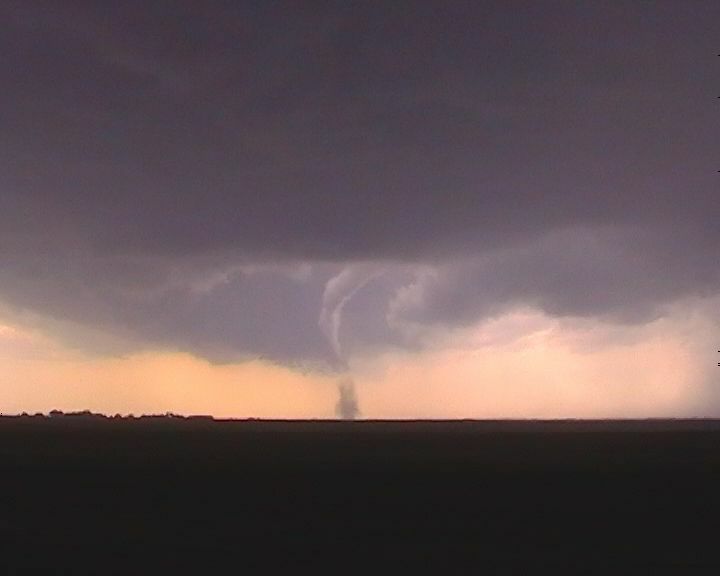 This tornado still showed rapid rotation in the funnel. 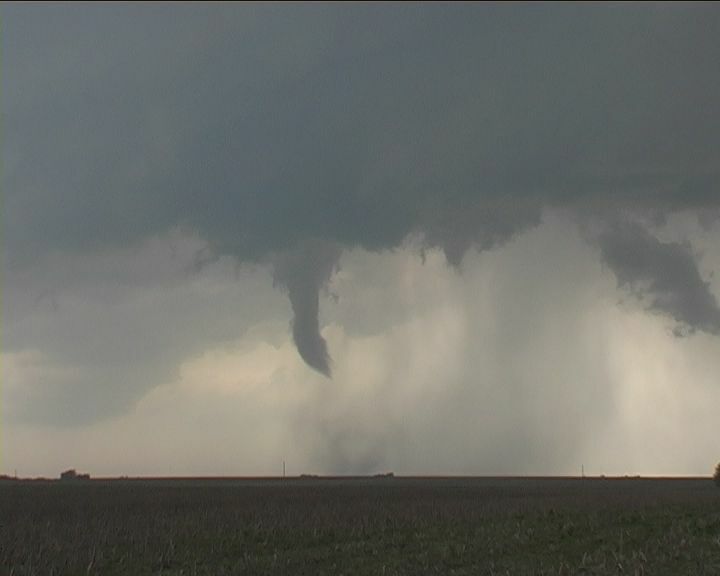 Debri was still on the ground and the funnel almost invisible. Suddenly the condensation funnel emerges once again into a full rope down to the ground. Incredible! 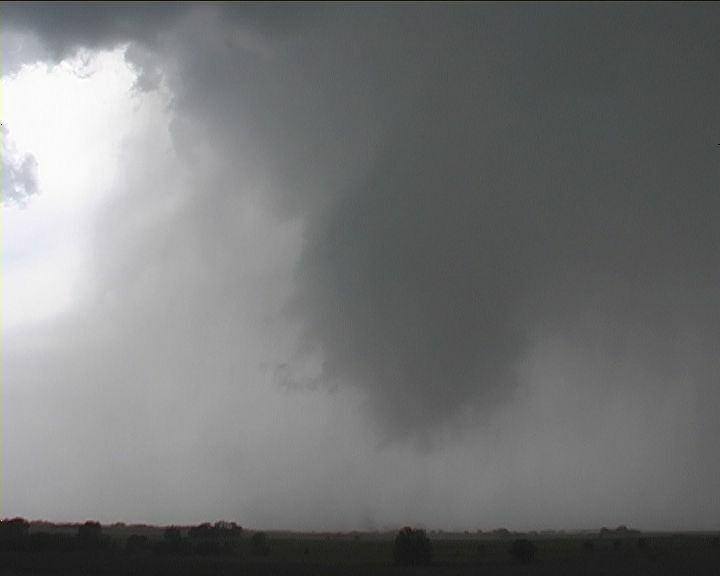 One look at the base and this tornado was alive and still strong – the debri cloud spinning rapidly. Being too close for comfort – we made a hasty retreat. The tornado finally dissipates. By this stage, it became a blur. 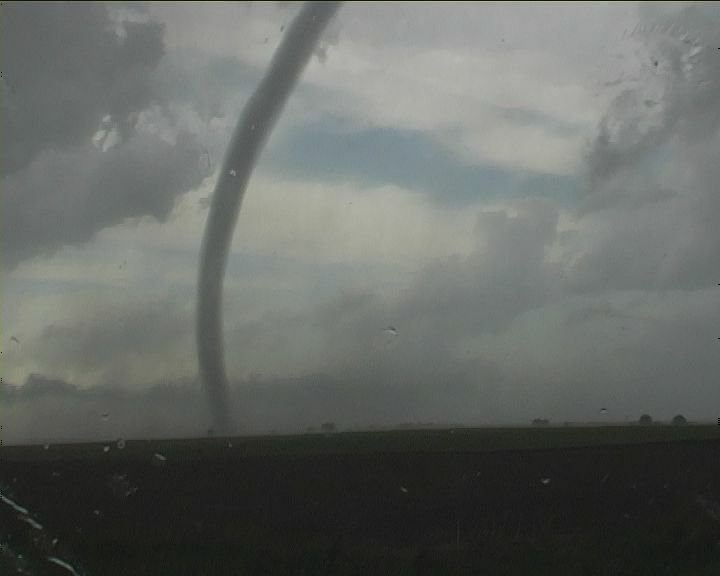 Video shows tornadic spin ups even two at a time and whatever we could see in our field of view. 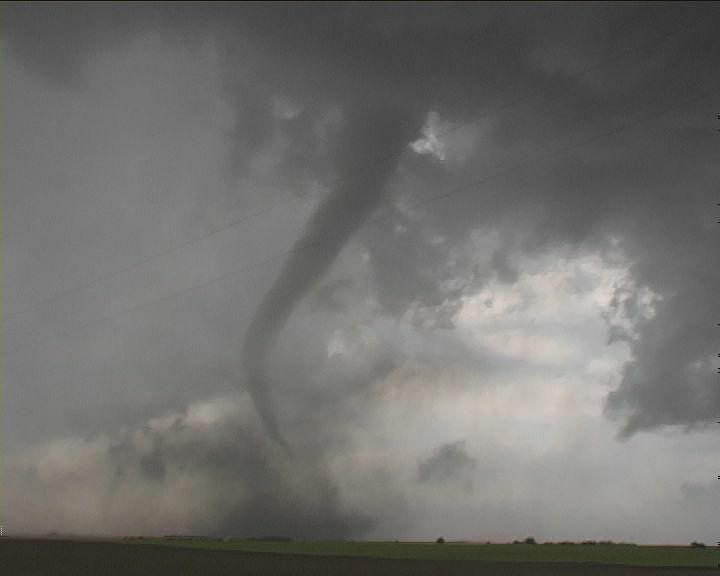 The other tornado was still going churning dust into a sock at the base of the tornado – funnel descending. Then suddenly, the funnel narrows and disappears and the sock ripples into a wedding cake and then down to the ground. After the last mesocyclonic weak tornado, we found ourselves on the south side and not able to be in position for yet another tornado! So what next! We had been in non-stop action for about 3 hours. We enjoyed the line of large cumulus to our southeast - tops bulging - struggling to break the cap. Until now! 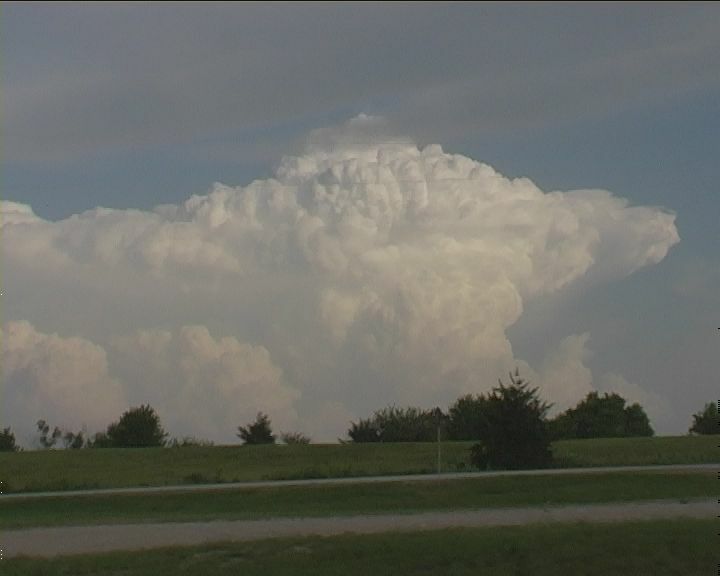 This was to be our next line of activity - target southeast central Kansas. And what an explosion! 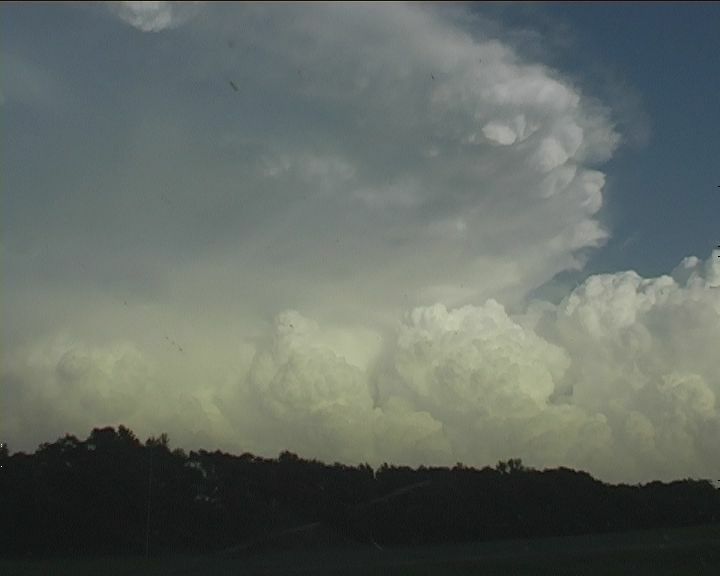 The first cumulus to break through bulged into a powerful overshoot and spread an anvil. The warnings went from showers to golf ball hail to base ball and finally tornado marning! Unbelieveable! 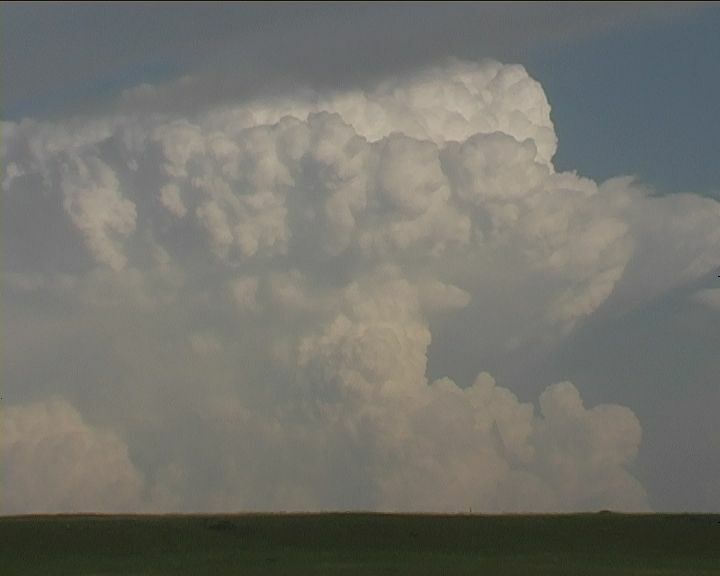 But then a second cumulus tower exploded but this went higher - it just kept going up - I mean how far up can it go! I simply went hysterical - this is what they call 'atomic bomb'. 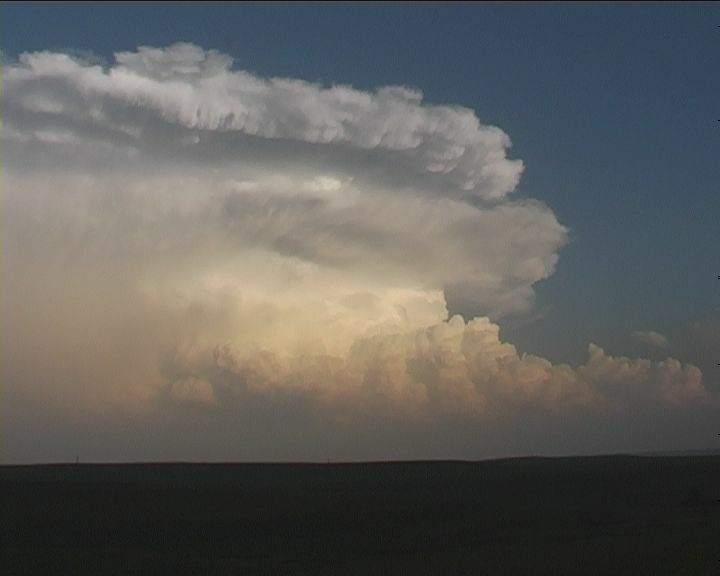 The powerful overshooting dome persisted for some time. The back sheared anvil spread backwards a long way. And don't forget the wind shear was very strong. You guessed it another tornado warning. 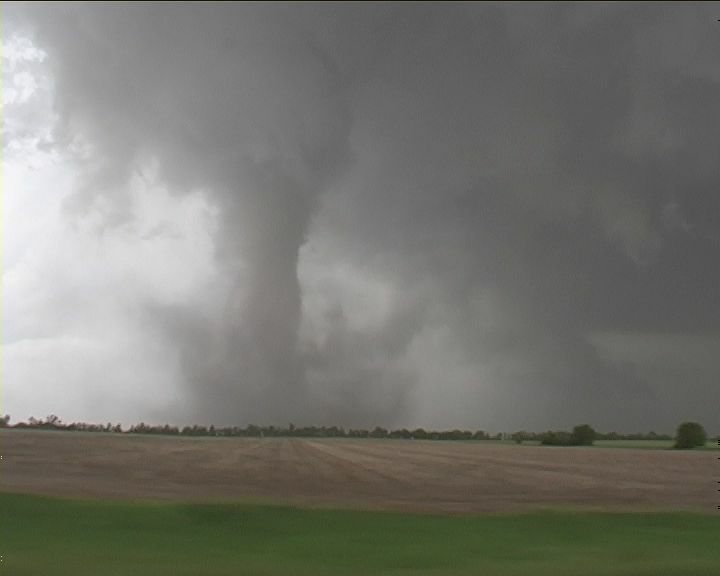 The first storm had a confirmed tornado and this one followed. 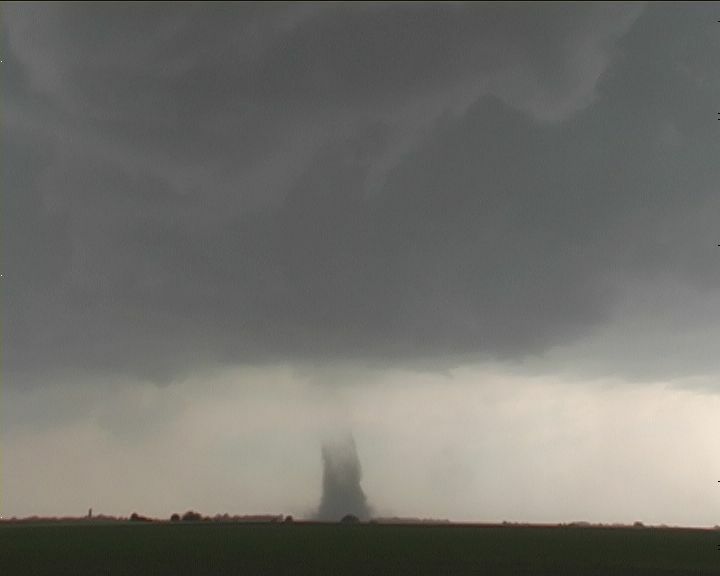 We could have intercepted the second tornado as we were in striking distance to Topeka but we gave it a miss. 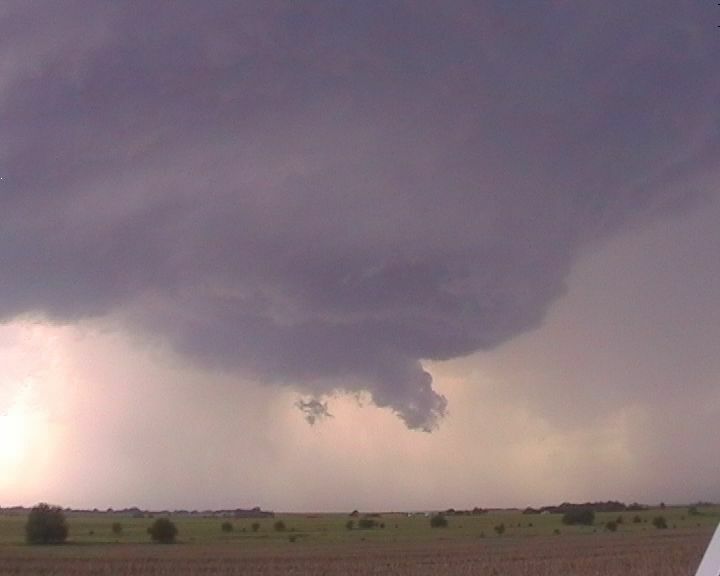 We had to go around the city and onto the other side of the supercell. 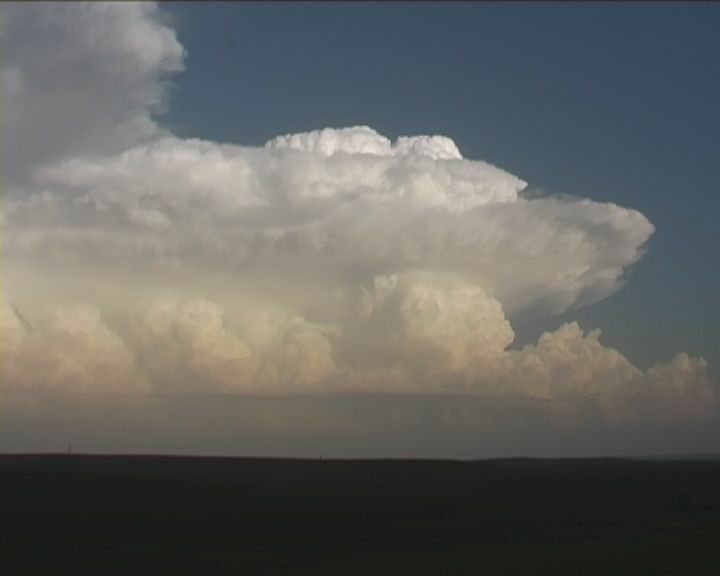 I guess we enjoyed an excellent view of the sunlit cumulonimbus towers. 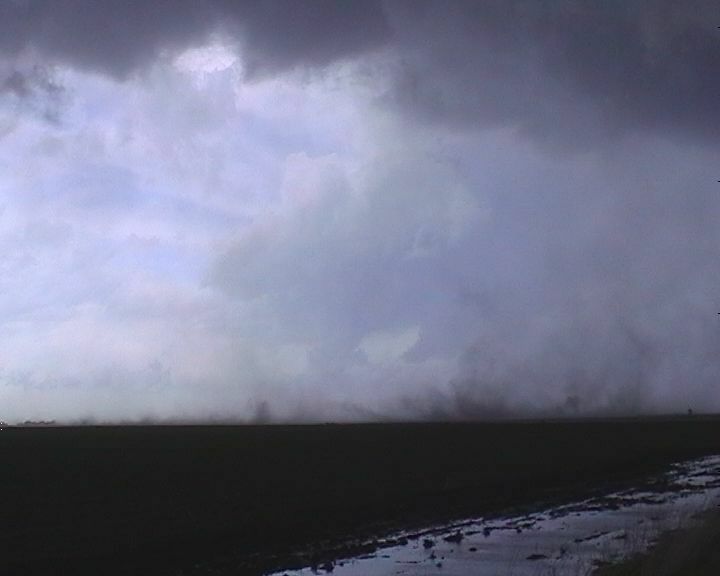 Careful examination of one of the updrafts revealed the real time rotation. This was a bizarre though satisfying day.